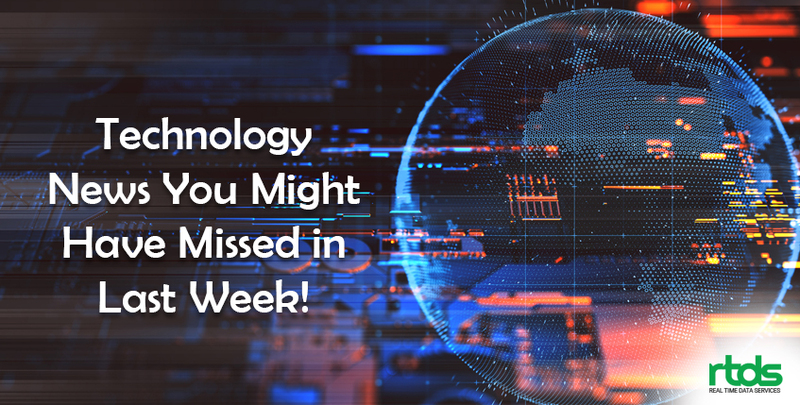 Technology News You Might Have Missed in Last Week! As we know, Cadillac is a division of the American automobile manufacturer General Motors (GM), and it has produced some of the best car models in the past century. Cadillac was in the news recently as it announced the launch of its first electric car in the Detroit auto show. The 2020 Cadillac XT6. Following the footsteps of Tesla, GM has given a clear indication to turn Cadillac into the leading electric car manufacturer. However, the outcome will be a crossover. GM has said that they are working on a new battery electric architecture which will be used by Cadillac for the very first time. Experts are speculating that the final vehicle will be a front, rear or all-wheel drive, and the output of the battery will be adjustable according to the customer and vehicle needs. Apple AirPower is going to show up in the coming year as some credible resources have revealed that Apple has already started the manufacturing the charging mat AirPower. In September 2017 Apple had announced its plans to launch the wireless charger AirPower, and it was meant to be paired with the iPhone X. AirPower was expected to launch in the year 2018, but there were no updates from Apple related to this. However, tech enthusiasts have made this speculation based on a tweet made by ChargerLab. The tweet says that as per the credible resources, Apple’s manufacturing supplier called Luxshare Precision has already begun mass production of AirPower mat. AirPower can charge several devices such as iPhone, Apple Watch, and AirPods, all at the same time. The South Korean consumer electronics giant, Samsung has confirmed the launch of Samsung Galaxy M Series phones to compete with the cheap mobile phone manufacturers from China. The launch is due on 28th of January 2019. The company has also confirmed that these phones will be available on Amazon India and Samsung online workshops. The strategy to launch a budget phone is to target Xiaomi that has gained trust among its customers in recent years. These M series phones will follow a worldwide launch after being introduced to Indian customers. Instagram has introduced an interesting update in which the company is going to give an option to the users to publish a post from multiple accounts. The Instagram spokesperson confirmed that this feature is available for iOS users and it will follow suit for the Android users as well, but it is not easy to speculate for now. It is still unsure to judge how effective is this feature for individual users, but it will definitely be an important add-on for brands who need to promote the same content on different channels. We all know Instagram is owned by Facebook that has gradually turned itself into a purposeful business marketing platform. Introducing such features is definitely a strategy to tap tailor-made business accounts. UK scientists have started testing the cancer breathalysers, and it is expected to change the cancer diagnosis in the coming future. The scientists have revealed that the breath biopsy is designed to detect cancer hallmarks in molecules exhaled by patients. According to scientists, the breathalyser is very revolutionary to detect cancer in the very early stage and is expected to save thousands of lives and also a substantial amount of healthcare cost. However, it will take time for breathalysers to come in the mainstream, but it is sure that it is going to reduce the number of deaths due to cancer. A five-year-old mobile manufacturing company, Royole has launched the very first smartphone with a foldable screen called FlexPai. However, the experts say that it was the company’s hurried gesture to stay ahead of Samsung while introducing this new technology. And, this is one reason that the acceptance of the final product in the market is still doubtful. FlexPai comes with a 7.8 inches screen (measured diagonally), two SIM slots and also has auto-detection feature. Moreover, it shows content on half of the screen that faces the user. This content expands to full screen when the device is opened. The screen resolution is 1920×1440 on the full display and it goes to half of the resolution when a call arrives. But there are various challenges that come with this phone such as bad quality and visible problems in basic operations. According to technology enthusiasts, a foldable phone with satisfactory functionality is still a distant dream and companies are still working on it. But it is also true that the mobile manufacturer Royole will always be named as the winner in making foldable phones. 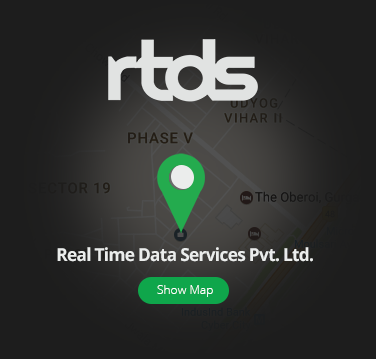 Vipul Srivastav is a Digital Marketing Strategist at Real Time Data Services. Clouds have always fascinated him. For the same reason he loves to explore and share his understanding and ideas related to cloud-based innovations. He writes about contemporary subjects as well. © 2017 Real Time Data Services, Pvt. Ltd. All rights reserved.